Don’t Bug Out – Keep Them Out – Naturally! All Natural Home Remedies to Keep Those Pesky Bugs Out. The Smithsonian Institution estimates that at any time, there are some 10 quintillion individual insects alive. In the United States alone there is approximately 91,000 species. If you’re like me, I bug out! 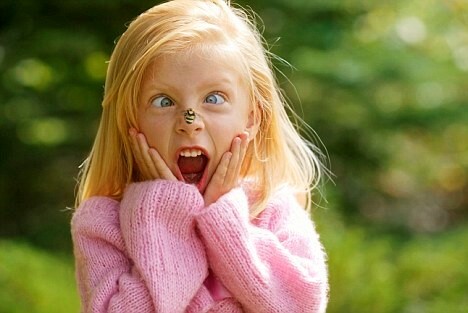 I have embarrassed myself countless times after being caught off guard by a creepy crawly. I have even, almost caused a traffic accident, when discovering a bumble-bee in the car! Living next to a Bog State Nature Preserve I am privy to 1,000’s of species. This spring they are coming out in full force, bigger and peskier than ever! No, thank you! However, I refuse to resort to using toxic chemical sprays and lotions. Enter in Essential Oils to save the day! With some DIY methods and preventative procedures, you can keep them out of your house without using any harsh chemicals. Use 1 part vinegar to 1 part water, wipe down all countertops and kitchen surfaces daily to remove odors and food particles. Use a trash can with a lid and be sure to rinse out all of your recyclables. Use sealed jars or containers to store your dry foods. Make sure to keep your kitchen drain free from leftovers. Use ½ cup of baking soda then ½ cup of vinegar down the drain. Let stand for 20 minutes and flush with hot water. Dust and shop vacuum all corners and crevices weekly. Don’t allow sugary food or drinks to leave your kitchen. Fix all leaky faucets. They attract insects due to needing water to survive. Place lavender or basal near any entrances to your home. Make sure to inspect and/or repair all screens before opening your windows to let the fresh spring air in. DIY Household Spray – Combine 1 drop of peppermint oil to every 1 ounce of vinegar and shake. (Do not use apple cider vinegar or you may have a whole new problem with fruit flies) Spray the perimeter of your house, the garage, doors and window frames. Then wipe down all baseboards, door and window frames on the inside. Be sure to wipe all cracks and crevices as well. DIY Bug Repellent Lotion – Add 1/3 cup coconut oil and 1/3 cup shea butter in a bowl and mix together. Add 2-3 drops of lemongrass essential oil and 4-5 drops of Eucalyptus Citriodora. Store in a mason jar to last all season. Need an Essential Oil Consultant? Message me for details @ jvale@feohio.com. Wishing you all a spectacular spring free of creepy crawlers! MailOnline, Marcus Berkmann for. “Look Out! There May Be Bugs in Your Drawers.” Daily Mail Online. Associated Newspapers, 13 Jan. 2012. Web. 12 Apr. 2017. Encyclopedia Smithsonian: Numbers of Insects. N.p., n.d. Web. 18 Apr. 2017. Jennie, Luke Yancey Says, and Jennie Says. “DIY Bug Repellent Lotion (All Natural).” The Diary of a Real Housewife. N.p., 07 Oct. 2016. Web. 18 Apr. 2017. So, What Is a Nightshade Vegetable? And Should I Be Eating Them? Recently I’ve been working with our patients in the therapy department. Often, they come into therapy right after seeing the doctor. In the last few weeks, I’ve been asked, “The Doctor told me I can’t have any nightshade vegetables; is a green pepper [or some other vegetable] a nightshade vegetable?” I say I’m not sure and will check with the Doctor. Or, we will print out a list. This has prompted me to learn about nightshade vegetables and I thought I’d share my research with you. What exactly is a nightshade vegetable? Nightshade vegetables are part of the Solanaceae plant family, which has well over 2,000 different species! So why are these vegetables fine for some and bad for others? If you are a person that struggles with food sensitivities, allergies, autoimmune disease, inflammatory bowel disease or leaky gut syndrome, there is a chance that a nightshade could be contributing to your health condition. If you have a sensitivity, you may experience diarrhea, gas, bloating, nausea, painful joints, headaches, and depression from consuming nightshades. 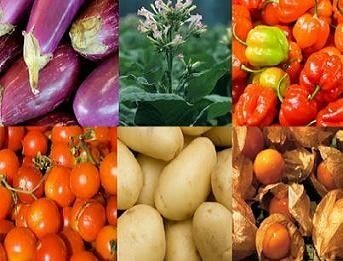 Nightshades contain two primary toxins: Saponins and Lectins. Both of these chemicals play a major role in increasing intestinal permeability, laying the groundwork for a variety of modern conditions. Saponins are natural chemicals in some plants that can impair health by creating holes in the intestinal lining. A perforated intestine is vulnerable to any microbes and toxins that may enter the bloodstream. Foods high in saponins are potato skins and potato chips with the skins. Ripe tomatoes have low levels of toxic saponins. However green tomatoes and “hot house” tomatoes, or those that are harvested before they are ripe, are exceedingly high in these toxins. Peppers are high in saponins, such as bell peppers, cayenne pepper, chipotle, chili pepper, paprika, jalapeño pepper, pimento, serrano pepper, ancho, habanero, and tabasco. Lectins are natural proteins in plants that are cell code breakers. Our cell walls are covered with chemical receptors to protect and make sure entry of only the right compounds. Lectins can crack the codes and trick the cell into doing things it normally would not do. Lectins can bypass our defenses, “getting behind the lines” to travel all over the body. Lectins can penetrate the protective mucus of the small intestine, promote cell division at the wrong time, and even cause cell death. Lectins can perforate the intestinal wall, or trick the immune system to thinking there’s an intruder, causing an allergic reaction. Lectins and Saponins act like a Trojan Horse intruder into the intestines, exposing the body to microbes and toxins that would normally be destroyed by a healthy immune system. Here is a good list of nightshade vegetables. The next time a patient asks me if a green pepper is a nightshade vegetable I will have the answer and a lot more information. Source: Dr. Loren Cordain, professor and author of “The Paleo Diet”. Find Dr. Cordain’s complete articles here: #1 Potatoes, #2 Tomatoes, #3 Peppers. Easter is almost here! YEAH! In my family that always meant putting on a new dress and white shoes and going to church. After that, we had a huge Easter dinner consisting of ham, mashed potatoes, corn and dinner rolls, all followed by a bunch of desserts like chocolate pie or coconut rabbit cake. That was all on top of the huge Easter baskets loaded with chocolate and candy. Oooh, those were the days. That was our family tradition, one which I, unfortunately, carried on with my own children. But now that I am older and my children are older, we are trying on some new healthier traditions. I thought I would share a few with you. Instead of the traditional cured ham that is full of sodium and nitrates, we are going to try a honey-baked pork roast, mashed cauliflower and roasted asparagus with almonds. I’ll give you the recipes I am going to use. Preheat oven to 300 degrees. Trim tough outer skin layer from pork, leaving as much fat as possible intact. Discard skin. Rub 2 ½ Tablespoons of honey over pork. Combine sugar, salt, pepper, cinnamon, ginger and cloves in a bowl. Rub evenly over pork. Place pork fat side up on a foil-lined broiler pan. Bake at 300 degrees until internal temperature registers between 170 and 180 degrees, about 3 – 31/2hours. Remove from oven and let stand for 15 minutes Combine remaining 1/4 cup honey, veganaise and remaining ingredients in a bowl and serve sauce with the pork. Preheat oven to 450 degrees. Drizzle asparagus with olive oil. Bake at 450 degrees for 8 to 10 minutes, stirring once after 5 minutes. Sprinkle with salt, pepper, and almonds. Preheat oven to 500 degrees. Toss oil, cauliflower, and garlic on a jelly-roll pan. Bake at 500 degrees for 20 minutes or until lightly brown, stirring occasionally. Place cauliflower mixture in a large bowl. Add onions, milk, butter, salt and pepper to the mixture. Mash with a potato masher. And to make the Easter basket healthier, try replacing candy with pieces of fruit and plastic eggs filled with nuts rolled in cocoa. And never forget the hard-boiled eggs – decorated of course.